Ann I Am! 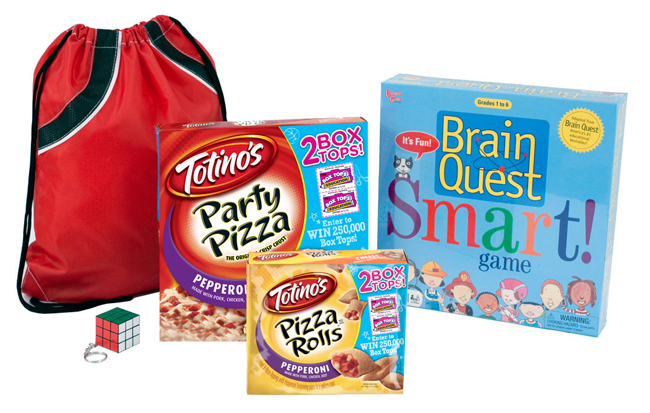 : Giveaway: Learn a Ton When School is Fun--Totino's Prize Pack CLOSEDE!!! Giveaway: Learn a Ton When School is Fun--Totino's Prize Pack CLOSEDE!!! Totino's wants to get the word out that kids learn more when school is fun. In fact, they even have a sweepstakes, "Learn a Ton When School is Fun" for a chance to win 250,000 (valued at $25000) Bonus Box Tops for your school. You can enter for you chance to win HERE. Giveaway open to residents of the US only. You must leave a way for me to get in touch with you in your entry. A winner will be selected using Random.org. Winner will be notified by email and must respond within 3 days or another winner will be chosen. Giveaway ends on September 10, 2011 at 11:59pm EST. Enter any other giveaway on my blog and leave a comment telling me what one. Blog about this giveaway and leave the link. **All entries will be verified for completion. Any falsified entries (i.e. you say you follow but don't, etc.) will be disqualified. Disclosure: The information and prize pack has been provided by Totino’s through MyBlogSpark. I received a package identical to the prize. Ann Crabs reviews/author assume no liability for damages associated with any prizes awarded here or contents contained therein. 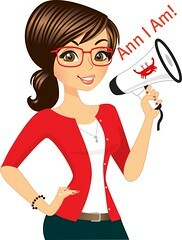 Prizes lost in the mail or those not delivered by sponsors are not the responsibility of Ann Crabs. Giveaway sponsors are responsible for shipping prizes that are offered on Ann Crabs. Please allow 2-4 weeks for delivery of any prizes won. If you do not receive your item AFTER that time, please email me and I will follow up with them. Hi, I "friended" you via GFC! Great giveaway!! I am a follower!! I follow you on facebook - Sara P.
I am entering your Mabel's Labels giveaway! I friended you using GFC. 1 - I "liked" you on facebook! 2- I "liked" you on facebook!